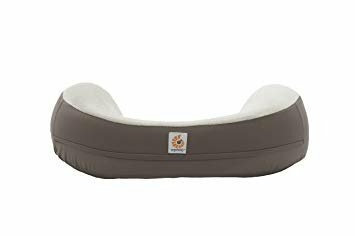 The Ergobaby Natural Curve Nursing Pillow is a bed made for babies while they are being breastfed. The pillow helps bring the baby to the breast level and ensure that the baby's head is in an upright position. Ergobaby has a depth at the middle unlike the regular pillows, this depth is what gives the right posture for feeding the baby. The mother does not have to bend in order to get to the mouth of the baby. With this pillow, the stress of breastfeeding is been reduced. My wife took a nursing class before my baby was born. And they recommended this pillow. This is really helpful and awesome.My wife find it works best to nurse comfortably when baby is tummy to tummy. The only design flaw with this pillow is that there is no handle. I hope that in the future, they will add a a fabric handle to the cover. So thank you so much for the awesome hunt. My mother also had a hard time when she was breastfeeding her brother. This pillow is for all mothers. The posture is very important when breastfeeding the child. If the mother breastfeeds the child comfortably, both the child and the mother are very uncomfortable. 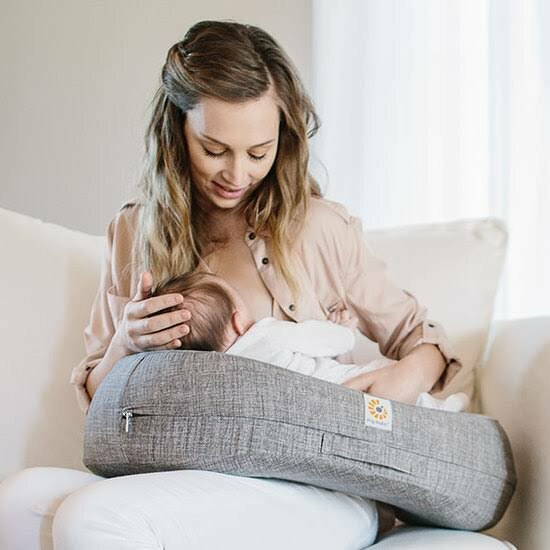 This pillow offers the convenience of breastfeeding. Excellent hunting, a very comfortable way for mothers to breastfeed their babies, without having to worry if their babies are in the position and did not drown, when my wife had our first child she complained a lot about the back soles since she was taking a Pocision very bad so that the baby was comfortable already with Natural Curve Nursing Pillow will not have that problem, I will certainly buy it for my next children. This pillow is a natural curve nursing. Mothers tend to breastfeed their children while breastfeeding. Natural Curve Nursing Pillow hollow head side high pillow. Buddha makes it easy for the child to reach the mother's breast.